Social media is good for many things. It helps bring people together. It exposes us to different worlds and viewpoints, and for that, it is a wonderful thing. Unfortunately, this ability to share comes with a downside. Misinformation is rampant on the internet, and much of it does more harm than we realize. Something that I see a lot is the “crying animal” image, especially pictures of dogs crying, used to elicit sympathetic responses from viewers, and it works almost every time. You see much of it now in the wake of the California wildfires, where animals are being saved from fatal circumstances by firefighters and citizens alike. While the efforts to save any and all lives in the wake of such a tragedy is admirable, there is a harmful precedent being set when images like this are posted. First and foremost, animals do not cry like humans do. They do not express any emotions the way humans do. This attempt to humanize them for the sake of likes and retweets is harmful because it promotes inaccurate beliefs in their behaviors and habits. Animals do have a means by which they express their thoughts, however, and it is important to know those signs if you wish to be able to work with animals or be a good pet parent. In short, thinking of animals as humans creates expectations that are not helpful. If you expect that your dog will cry tears to show pain, that is what you will look for. 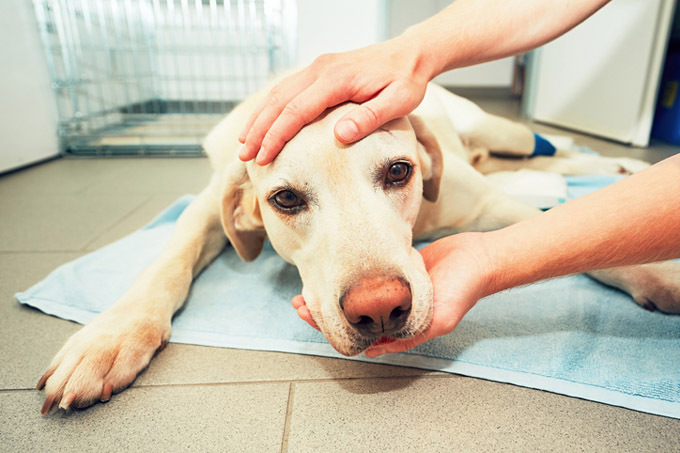 The signs of pain in dogs, however, are much different, as dogs don’t cry like humans do when they are hurt. They sometime yelp, lie down in odd positions, or refuse to exercise. Those are real signs of an animal in pain. You should be on the lookout for those symptoms, not the ones you see in humans or on social media. You can learn how to spot many of the moods, thoughts, and emotions that dogs express, but the actual signs are different from the ways humans communicate. For example, I know when my dog is anxious when he begins to scratch himself a lot. I also know he wants something because he whines and dances with his forefront paws—the paw on our knee to get our attention is also a sign. If he doesn’t like something, his ears perk up well past the crown of his head, and he gets very rigid. Each of these things is unlike the way a human behaves in my experience, but I’ve observed him well enough to know his signs. My dog doesn’t smile, and he doesn’t cry tears because he’s a dog, and dogs do not do these things. Neither do cats, nor birds. What If Your Dog Is Crying Real Tears? If you do experience your pet shedding actual tears, you need to take them to a vet immediately. 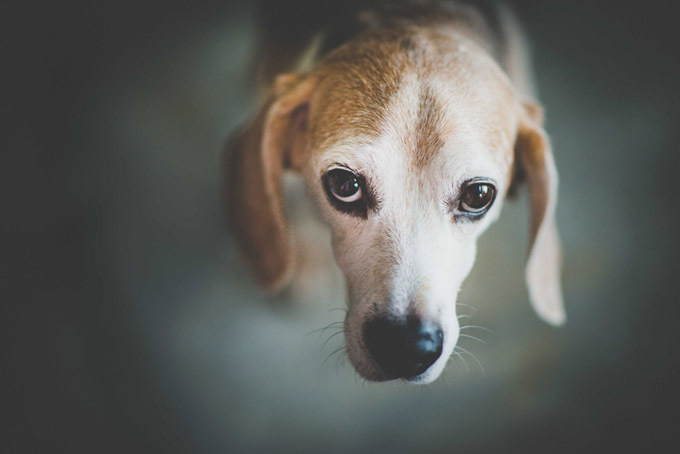 Tears in the eyes are generally due to an irritant or an infection in either the ducts or the sinuses of your pet. Taking pictures is not the ideal solution unless it is to produce evidence to a vet in case the symptoms are no longer showing at the time of your visit. Do you see pictures of dogs “crying” online? How do you know when your dog is upset? Let us know in the comments below!